So I came up with a fun idea for a quilt for my grandson who is 4 and adores Lego. I designed a lego quilt for him. 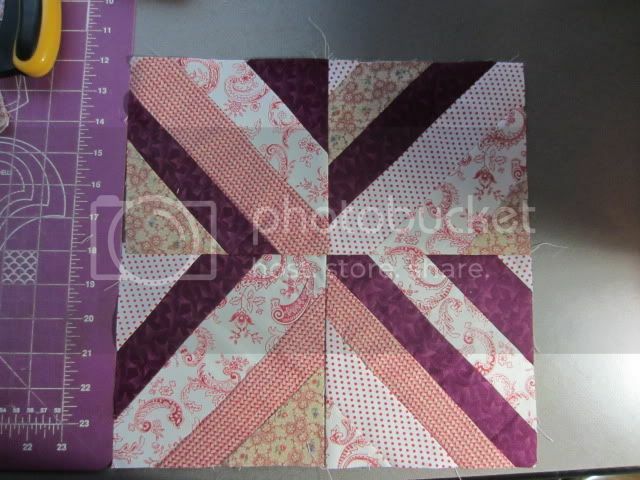 I pieced the top yesterday and made my back, but shorted myself in the piecing on the back, so I have to rip out one side and add a 2" strip, then as soon as I get more batting I can sandwich it, it's for his birthday in August, but if I get his and his sisters done early, they will be getting early birthday presents. 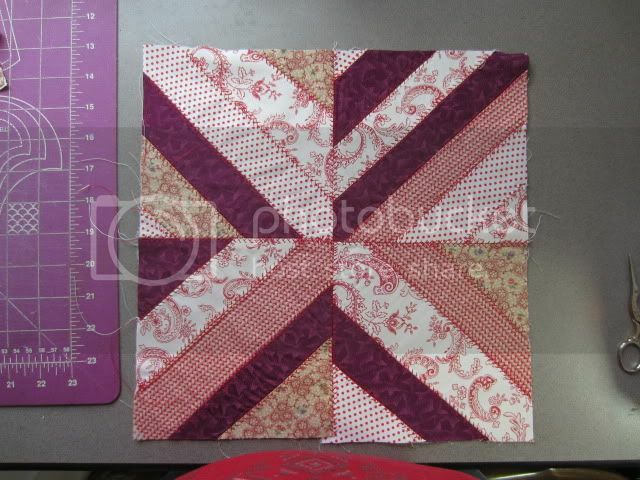 Also have a quilt for DS and his girlfriend cut out, it's not needed until June, so I will poke away at it. I have had a week off and have sewn like a mad woman, so now I will have to go back to sewing a bit in the evenings or on weekends for a while. Got to love taking a staycation. I highly recommend them!! I feel quite relaxed and refreshed and almost ready to go back to work, a few more days would be nice, but tomorrow at 8 I'll be at work. Oooooh! A leggo quilt. How creative. I am ready for a staycation but it will have to wait till Chloe has Spring break. Got the horse fabric today for the oldest DGD. And happily I have enough fabrics in my stash that will work to go with the quilt, so I don't need to buy any more except the back!! I'm going to start designing the quilt tonight I think, The horse fabric is for the border, now I have to figure out how to do the inside body part. Got a few hours this morning to sew some scrap squares together, and had enough left over from the red/yellow quilt to make a baby quilt which will go into the donation quilt box. And there's enough of the blue/green to make another baby quilt, then I am done with the scraps for a while I hope. Have been working slowly on a large quilt for DS and his SO. The blocks are done, they need to be sewn together into strips and then the sashing put in, but just haven't had the time to get at it, it's not needed until June anyway. Okay, I decided to play around with a scrappy string quilt. It's been in the back of my mind for quite a while. Thanks to Judy for her link from an earlier thread. I dug into a box with my pinks, reds, purples and came up with this. I like it a lot. It's kind of a paper piecing light. I really like paper piecing I've discovered. Don't know if I'll keep going. It's rather disheartening to put together a quilt when you don't like to actually quilt! That's really pretty Lennie! 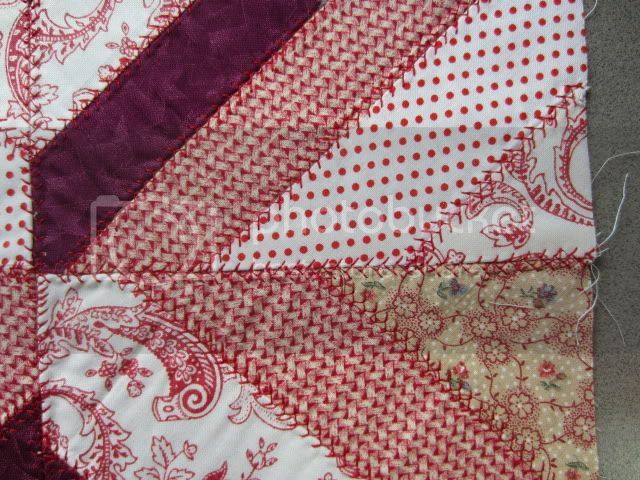 If you made enough to make a blanket you could just tie it at the midpoints rather than do the quilting thing. Had an idea. Used the herringbone stitch and I really like the look. I thought if I made more squares (colors, I don't know yet) and did each one up this way I could "quilt" the thing by just doing "in the ditch" along the squares. The herringbone would be a fake quilting technique. I could also be more structured and play up the 3D effect in the top two. I like that look. Lennie I really like the herringbone stitch look on those blocks! You really are becoming quite the quilter!! Gee, thanks. I like playing around with it off and on. I've done quilt where I used a lot of decorative stitches over the piecing - it was basically Big Squares - very basic, but the embroidery ;ifted it. Why make a quilt Lennie - just make the fabric into a cushion cover and enjoy expiring the technique. I have started on my hourglass quilt. One block done and some unpicking on the next one - heigh ho. I didn't like the colour thread I chose to go over the fabric - too dark. I am going to use some of my Lovely variagated thread and see how that turns out on the darker blocks. Still to decide what to do on the alternate white blocks though. This quilt is going to be Texture Heavy and it Will Not be done by Easter, let's face it!